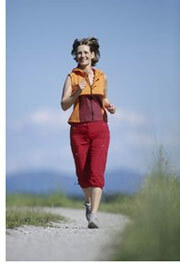 Your health depends on so many factors — your diet, exercising regularly and general lifestyle habits. Find out how to optimize your lifestyle habits to help you live a happy, healthy life. No matter what age you are, it is always important to take care of your body. Acidophilus is a naturally occuring bacteria that can help reduce your chances of many ailments, including yeast infections and diarrhea. This good bacteria is often found in yogurt, which is also a rich source of calcium. Calcium is an important nutrient that helps fight osteoporosis. Read more about this disease that can easily be prevented. Thinking about expanding your family? Then take a look at Pregnant Again to find out how this pregnancy will be different from your first. If you're having troubles conceiving, then read Endometriosis. Endo is one of the leading causes of infertility yet it often goes undiagnosed for years. Oftentimes, getting pregnant isn't as easy as you'd like. If you are experiencing difficulty conceiving, you may have a fertility problem. Learn about common fertility tests for both men and women that can help you diagnose factors contributing to infertility at this comprehensive fertility testing site. If you have just had a baby, then you may be one of the 80% of women who suffer from the baby blues. Or perhaps you are one of the 15 to 20% of women who suffer from postpartum depression. Take a look at Postpartum Depression or Baby Blues? to find out what the difference is between the two types of depression and read up on how you can prevent postpartum depression. If you think you are suffering from postpartum depression, then Treating Postpartum Depression will help you learn what you can do about it. However, some women may suffer from a more serious type of postpartum depression, known as postpartum psychosis. Women affected by this disorder need immeadiate medical attention. Other disorders that can affect women after birth include postpartum anxiety and postpartum obsessive-compulsive disorder. Stress can have a particularly serious effect on the health of new moms. Postpartum stress is a common experience for new moms that can impact their overall health, as well as their ability to take care of their newborns. Discover tips that can help you minimize postpartum stress so that you can devote your attention to your new baby. Do you find yourself regularly bothered by your PMS symptoms? Then read PMS Treatment and find out what you can do to make this difficult monthly time a bit better. Looking for healthy living tips to improve your physical and mental health? Our 12 simple health tips for a better life are designed to improve your health and happiness in no time.